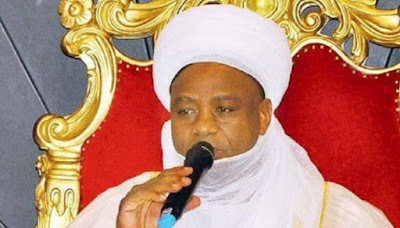 The Sultan of Sokoto, Alhaji Sa’ad Abubakar said on Thursday that the traditional institution was in support of the recent move by the Federal Government to criminalise hate speech and fake news. The Sultan, who stated this in Abuja at the Annual Lecture Series and 25th Anniversary of the National Broadcasting Commission (NBC), added that hate speech should be declared as terrorism offence. He said that the traditional institution was in support of the recent declaration by Vice President Yemi Osinbajo as Acting President that “none will be allowed to get away with making speeches that can cause sedition or that can cause violence’’. The monarch said that the phenomenon of hate speech and fake news had reached an alarming state and decisive action should be taken by the government. The monarch said he was a victim of fake news only on Wednesday when he was misrepresented at a Nigerian Labour Congress event in Abuja that “he kicked against Restructuring’’ He clarified his position at the event that he was only against any restructuring that would lead to the disintegration of Nigeria. The monarch said that he was also shocked by a Television station reports which claimed that there was “fracas’’ at the same event. “Shortly after the event, many people were calling me that what was I doing at the event where there was “fracas’’. “There was nothing like fracas at that event as reported by a popular TV station which I will not named here.